This study aimed to examine the effects of a combined intervention consisting of massage therapy and transcutaneous electrical nerve stimulation on gastrocnemius muscle fatigue, assessing whether the intervention improved muscle tone, stiffness, and muscle contraction. The subjects were 20 healthy males in their 20s who were equally divided into a transcutaneous electrical nerve stimulation group and a combined therapy group that received a combination of massage therapy and transcutaneous electrical nerve stimulation. Muscle fatigue was triggered on the gastrocnemius muscle, and the effects of intervention method on muscle tone, stiffness, and muscle contraction were examined over time. Lateral and medial gastrocnemius muscle tone and stiffness significantly increased and gastrocnemius muscle contraction significantly decreased in each group immediately after fatigue was triggered on the gastrocnemius muscle. There was no difference in the effects of the two intervention methods over time. 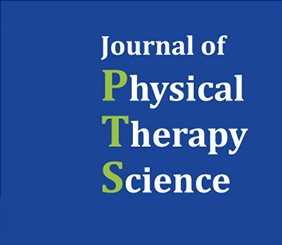 This study verified that a combined therapy of massage therapy and transcutaneous electrical nerve stimulation was able to be used effectively in improving muscle tone, stiffness, muscle contraction, thereby reducing gastrocnemius muscle fatigue.